Last month, I was stuck troubleshooting with my windows XP and found out something strange. When I have tried to delete a file an error message appear like “Access denied / you don't have enough permission to delete this file....blah..blah..".What's wrong? 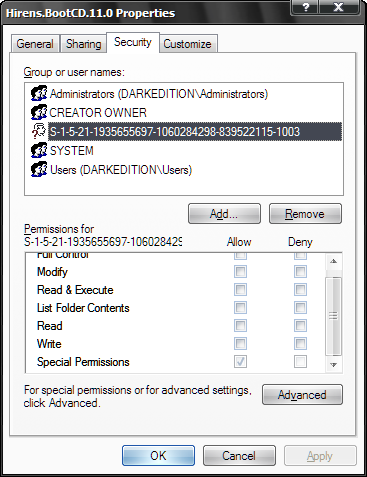 I login as administrator and I have the Full permissions but I am not able to delete those files. I click the Security Tab and click the Advanced button to check permission settings and I was shock. I found out that these anonymous characters S-1-5-21-1935655697-1060284298-839522115-1003 with question mark. I don't create any username like this and how come it has a Full Control permission inherited like an Administrator? It's so weird and I check the Owner menu then I spotted the same anonymous character(S-1-5-21-1935655697-1060284298-839522115-1003) owns specific files and system control. 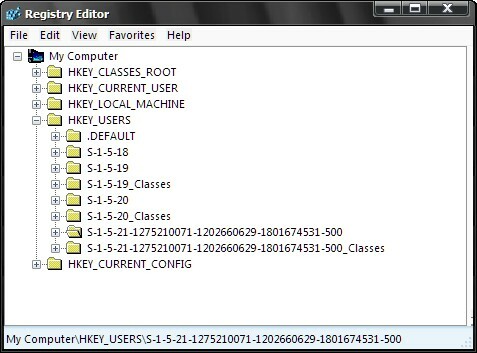 I miss the screenshot where you can see that this anonymous character becomes the owner the system files. Based on my experiences, this S-1-5-21-1935655697-1060284298-839522115-1003 can be associated as companion of recycler and most of the time you will notice this characters on Recycler virus infected files. So what happen? I delete the anonymous character(S-1-5-21-1935655697-1060284298-839522115-1003) and change the Owner to my account then I successfully deleted the files. But beware changing PC ownership is dangerous and you might encounter serious problems later. 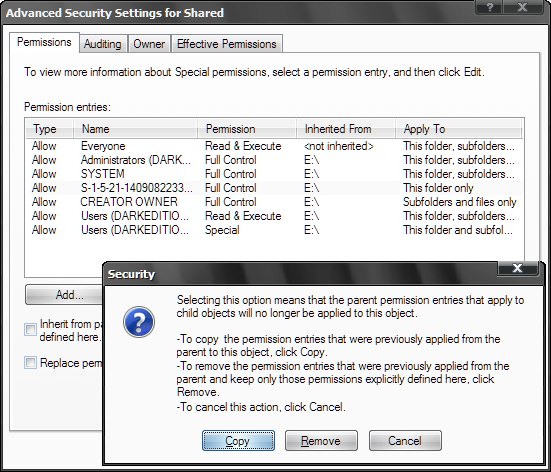 It’s better to create first a System Restore before doing any action related to Permissions. While reading the whole post about SID sombody as there says" What SID is this S-1-5-21-1935655697-1060284298-839522115-1003? nobody answer the question.Seems everybody got a proble about this. I have made a wrong conclusion before but I think I have falsely see things about S-1-5-21-1935655697-1060284298-839522115-1003. 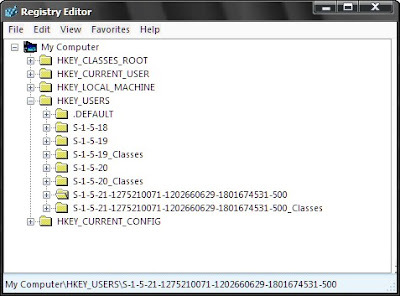 Although I have solve the problem on my machine I am still confuse how those characters works to own my PC. Final thought: After a month of research I found out that the anonymous characters above is just an SID.It's not a virus but a rare known SID.Maybe, in my case it was just a system error that makes my system complicated.